We arrived: the Finger Lakes. 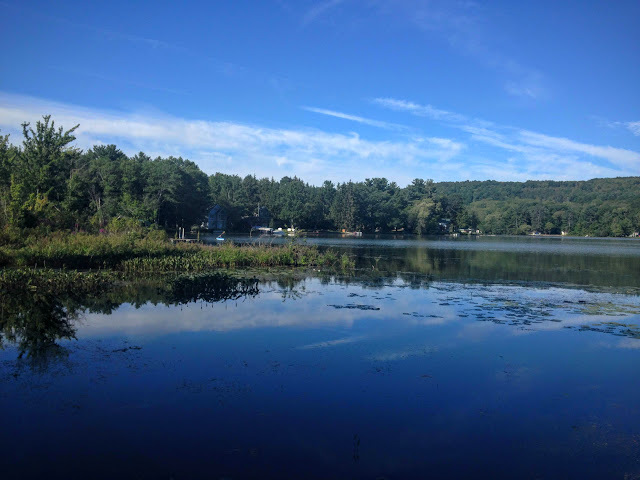 We (my immediate family and my grandparents) had rented a cottage on the shore of Lamoka Lake, a relatively small warmwater finger lake in upstate NY, and I was looking forward to this trip for months! 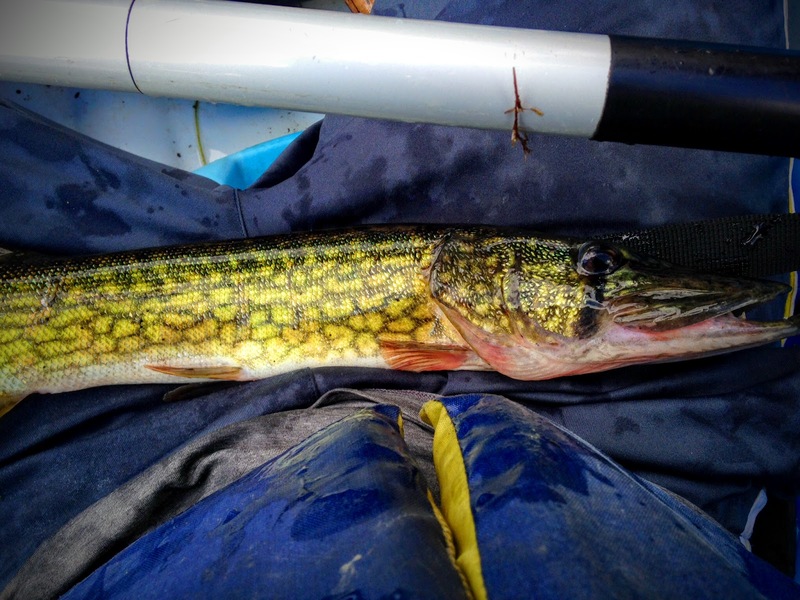 Dreams of perch, pike, micros, and quality bass flooded my mind as we pulled up. After unloading the minivan and getting unpacked, I wasted no time and headed down to the dock. I noticed the 6 boats and a boat launch area right near the dock for us, and that too made me think of all the possibilities. As such, the area around our dock was shallow, but we were on a big body of water... surely the boats would come in handy later. The view from our cottage on Lamoka... Beautiful, is it not? The first thing I noticed in the lake were the juvenile bluegill, pumpkinseed, yellow perch, and some sort of shiner swimming around. 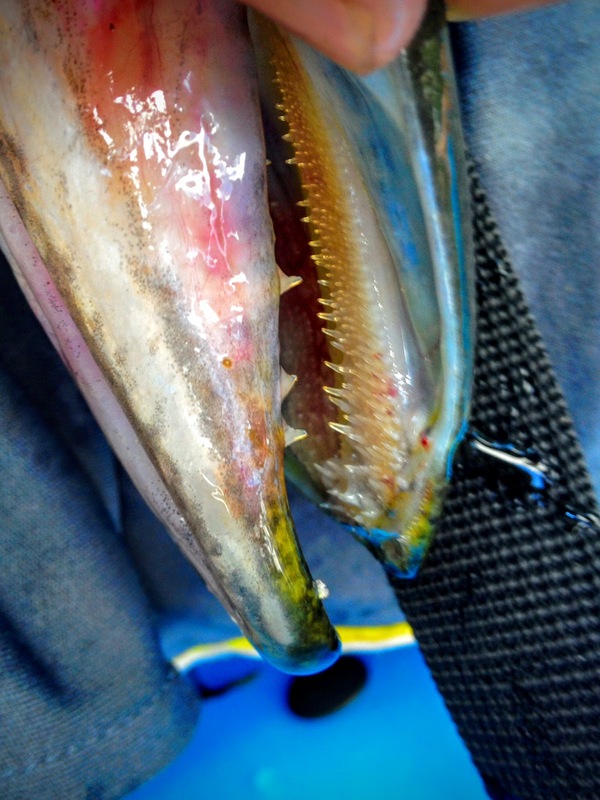 Well the shiner was sure to be new, so I rigged up my tanago hooks and set fishing. Hehe. I thought it would be easy. 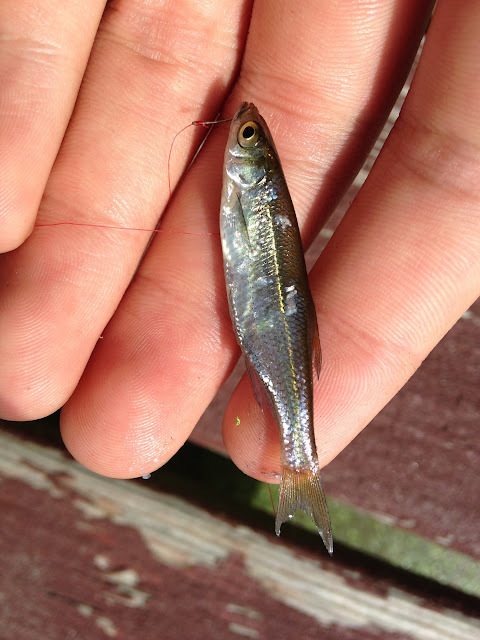 The shiners would mouth the bait, detect metal, and spit it out. About 10 times I hooked them, and then they threw themselves off the hook. But patience pays off, and I landed species #53, the Golden Shiner, also which happens to be the primary forage base for Lamoka Lake. After everything was settled, I had some free time and remembered the kayaks in the backyard. I couldn't wait to try them out. I've never gone fishing from a kayak before, although I've gone paddling a couple times. There was a marsh near our cottage on Lamoka, a flat, weedy area. And by weedy I mean extremely extensive plant growth. Pads and grass mats were everywhere, I could not find a spot where I could actually see the lake floor... Not only was it weedy, it was really shallow. The average depth was 2-3 feet. Naturally, I thought the kayak would work on the flat area because of its slimmer profile and the noiselessness compared to the motorboats that frequented the area. Speaking of other boats, I saw tons of other fishermen on the lake, but none seemed too successful except for some kayakers. Lamoka does receive tons of fishing pressure, so I guess it is things like boat choice that really makes a difference. Because of the prominent weed growth, I picked up a weedless, weightless rubber twister-tail worm and set to working the shoreline and cover near our cottage, slowly making my way to the marsh. 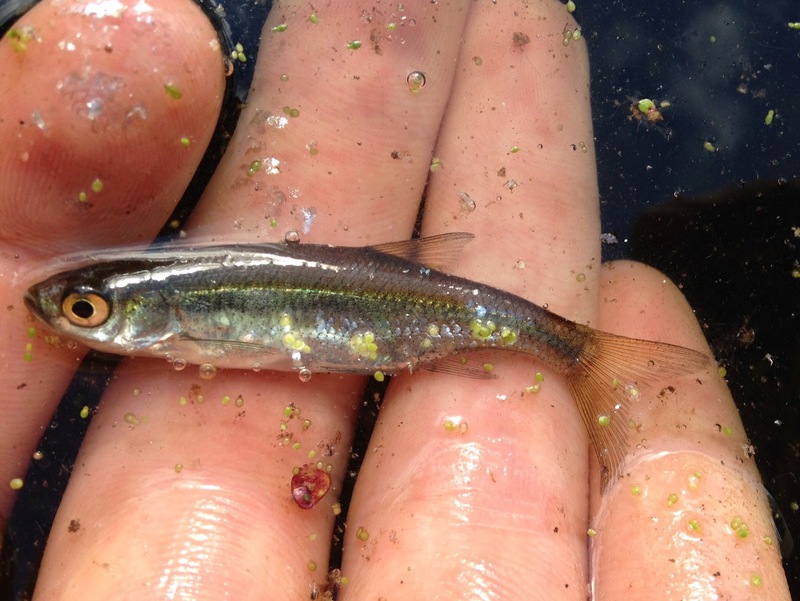 I caught a teeny tiny bass just as I started, but nothing of significance. At one particular spot, just outside of our property, next to another dock, I felt a slight tap in about a foot of water. It could have been anything, a weed, a branch, or a rock. But I cast it out again to the same spot, and felt a jolt which could only be a fish. Unfortunately, I did not receive a hookup, so again I lobbed out my worm, and it got absolutely slammed right in the middle of a weed patch. I had hooked a fish, and from its constant headshakes, I came with the conclusion that it was a pickerel. And my conclusion was confirmed when I saw the toothy weasel clear the water. As it neared the boat, the real struggle was getting it in so I could take the hook out. A thrashing, sharp-toothed critter is no small threat. But eventually, I was able to grab it behind the gills and bring it in. It was a decent sized fish, so I put it on my stringer and we had steamed pickerel that night. It was very good, with a mild, flaky flavor. Bony, but they were easy enough to avoid. Delicious! Thus, Day 1 ended on a good note, and we were off to sleep, awaiting our first full day in the Finger Lakes.